With Star Wars: The Force Awakens just days away, everyone gets hyped up about it. And some are incorporating their websites with Star Wars in order to ride the hype, this includes Google. As far as I know, there are 3 Star Wars Easter eggs on Google with a recently new one. First is the recent one, the Star Wars: The Force Awakens Google landing page. 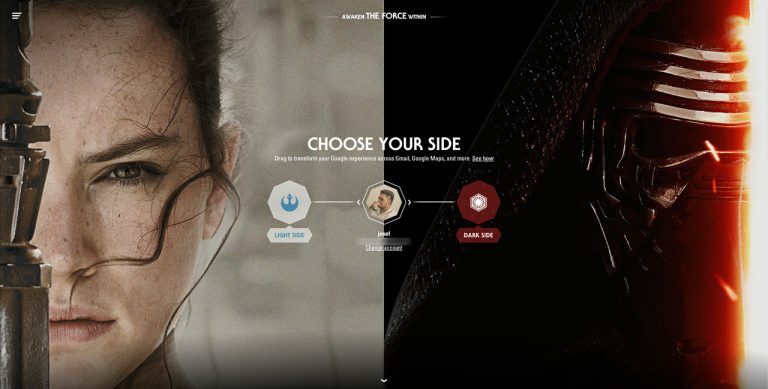 This page will let you choose sides between the Light and Dark side. Your Google services will then incorporate themselves on which sides you choose. 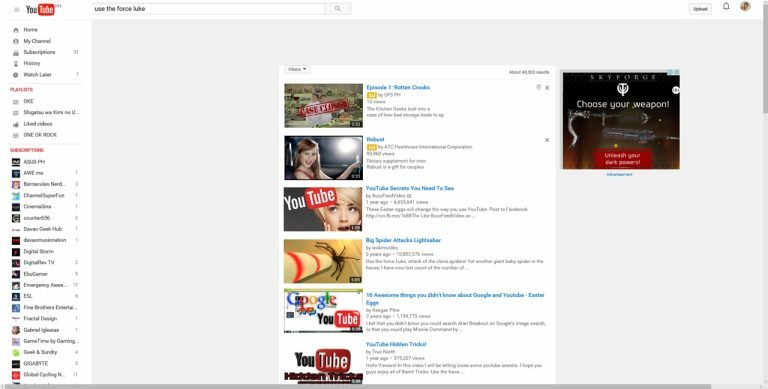 For example having a Star Wars theme on your Gmail, and even going so far as having lightsaber loading animation on YouTube. Speaking of YouTube, you can find another Star Wars Easter egg there. Search the phrase “Use the force Luke” on YouTube. This causes the search results to levitate as if being levitated by the Force. You can even move it around by hovering your mouse pointer over it. This one is my personal favorite. On Google, search the following phrase “A long time ago in a galaxy far far away”. 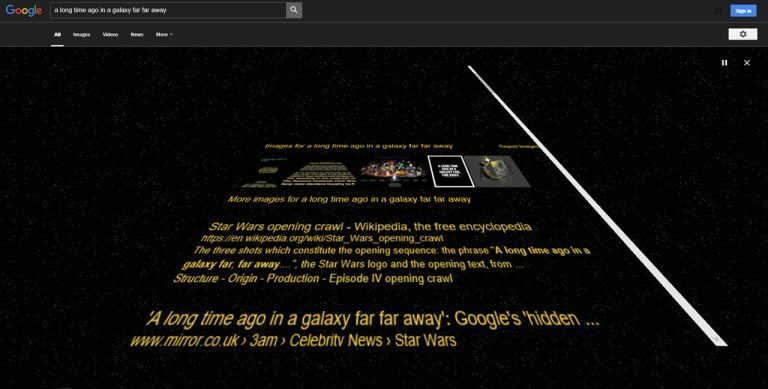 It will animate the search result page in the style of the Star Wars opening crawl. Do you know any more Star Wars Easter eggs on Google? If so, tell me on the comments below.